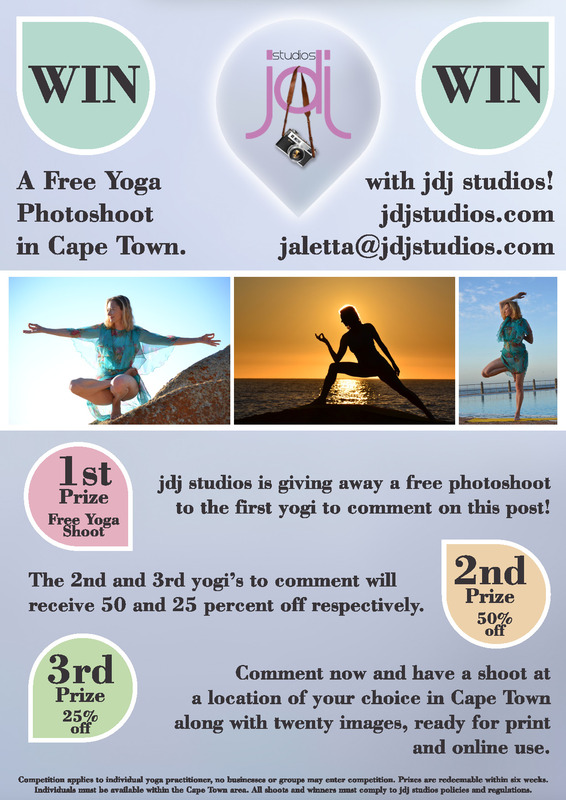 WIN a FREE YOGA PHOTOSHOOT in Cape Town courtesy of jdj studios!!! Comment on the YAA FACEBOOK Page and get ready to win and save big time! Now is your chance…SEIZE THE MOMENT! ← Teacher Interview: Hylton Jaggard of Hot Dog Yoga Studio, Cape Town.